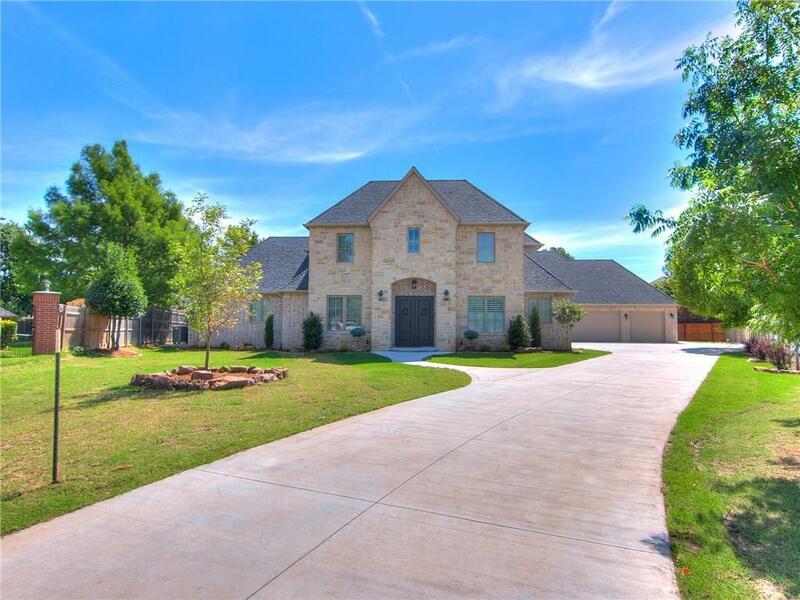 Beautiful new construction home on 1/2 acre lot in West Norman’s coveted Brookhaven addition! Flexible floor plan provides 5 bedrooms (3 up, 2 down) plus study or 6 bedrooms and 5 car tandem garage! Spacious study comes complete with a full bathroom and closet. Downstairs guest suite is separated from the main area with a sliding barn style door and has patio access providing privacy or cabana option. 12’ sliding glass doors open to an oversized covered back patio with fireplace and plenty of room for a pool. Home features include many upgrades; designer tile, wood floors, concrete safe room, his & her master closets, giant walk-in shower, foam insulation, over sized laundry room, formal dining, upstairs game room, custom iron stair case, bathroom with each bedroom, ice machine, plantation shutters, wine fridge, and so much storage. Designer selected finishes give this a custom home feeling. Don’t miss out on this rare opportunity.